Kelly Savage's efforts may not be seen as activism by people on the outside, but they serve to remind the people locked inside that they are not forgotten. Nineteen years ago, in 1995, Kelly Savage was arrested and jailed after her abusive husband killed her 3-year-old son. 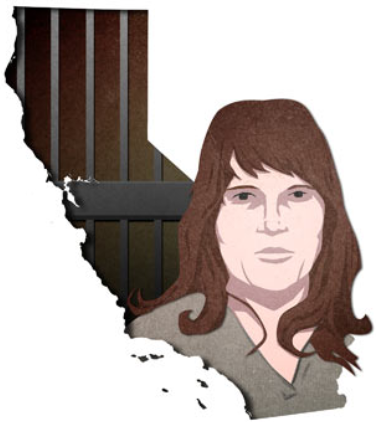 Three years later, she was convicted of torture and first-degree murder, sentenced to life without the possibility of parole and sent to Valley State Prison for Women, then one of California’s three women’s prisons. Lenz remembers that, being new to prison visiting, she found some of the discussion confusing. “People were talking 602 this, 602 that, and I was like, ‘What? '” Seeing her new visitor’s confusion, Kelly took her aside to explain that a 602 is an official complaint that a person files within the prison. “She was very diligent and patient about teaching me,” Lenz recalled.